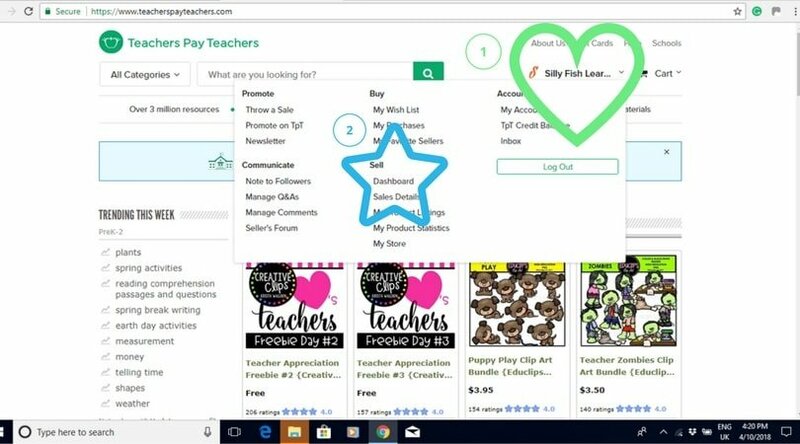 Teachers Pay Teachers is such a great place to get tried and tested teaching resources. We upload there every #WorksheetWednesday but looking around at other people’s pretty stores left us feeling a touch envious. This week, we finally figured out how to add a banner to our store and couldn’t be happier with the result! Teachers Pay Teachers banners have very specific dimensions. Instead of uploading any file and hoping for the best, we recommend creating a banner graphic first. An easy way to create any graphic is using Canva. It’s easy and free to sign-up (you can even sign-up with your Facebook account) and you can design a bunch of things using their templates. They offer a lot for free and you can upload your own files so it really couldn’t be more simple. 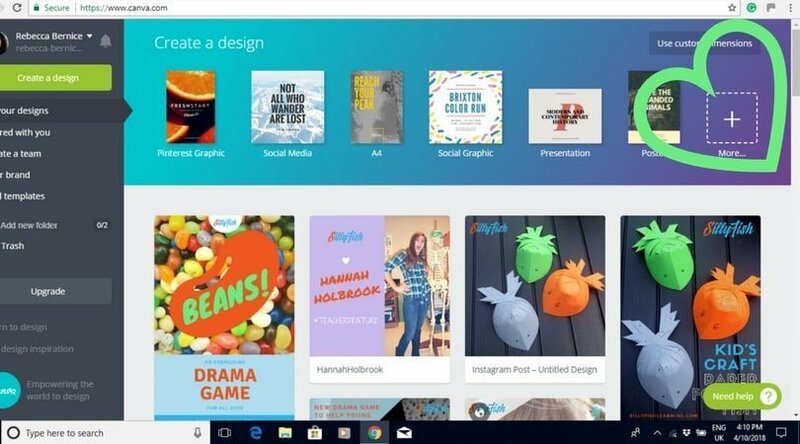 At the top of Canva is a ‘Create a Design’ menu. Click the plus symbol to bring up more dimension options. Teachers Pay Teachers banners need to be 718×90 pix. 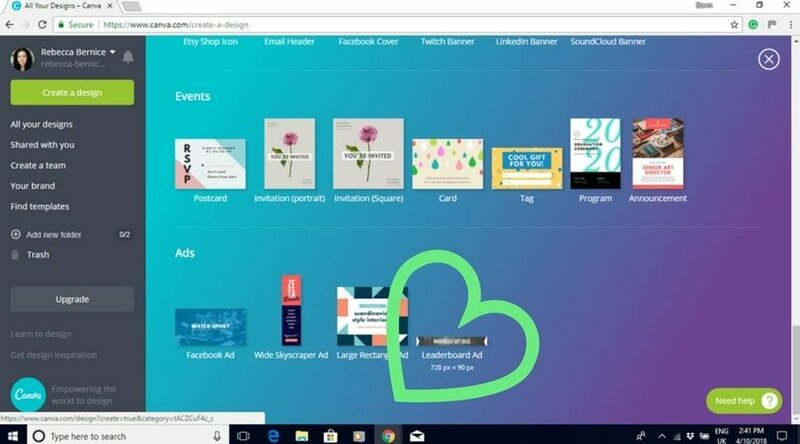 Canva doesn’t have these exact specifications, but if you scroll to the very bottom of the page, in the ‘Ads’ section you will find the option for a ‘Leaderboard Ad‘. The dimensions of this file are 728×90 pix and work very well on TpT. Once you have selected this size you can either modify one of their templates or create a graphic from scratch! Once you’re happy, download the file in .png format for higher quality. We love our little polka-dot banner! 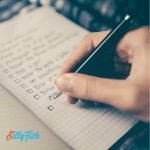 Now that you’ve got a file, you need to add it to your store. Start by signing in to Teachers Pay Teachers. Hover over your account name and click to go to your ‘Dashboard’. On the ‘Dashboard’ page, click the ‘Marketing’ tab and then ‘Customize’. 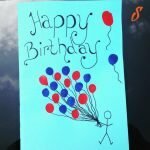 Here you will be taken to a page where you can upload your banner. Simply upload your file and save. Head to your store to appreciate the result! 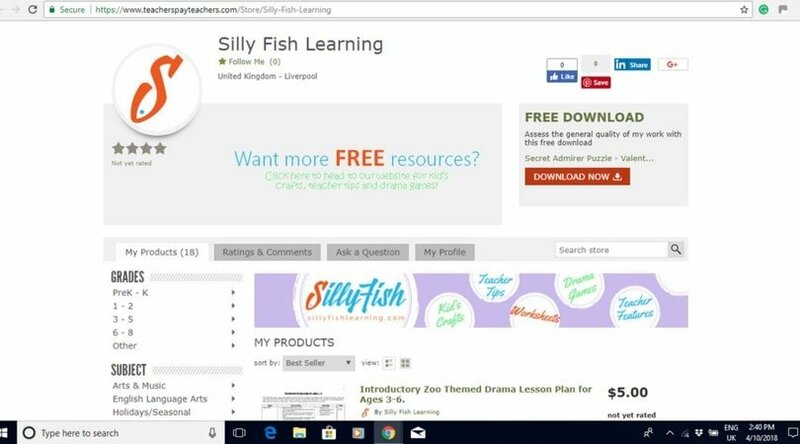 Come back next week to learn how to add a clickable quote box image to your TpT store. 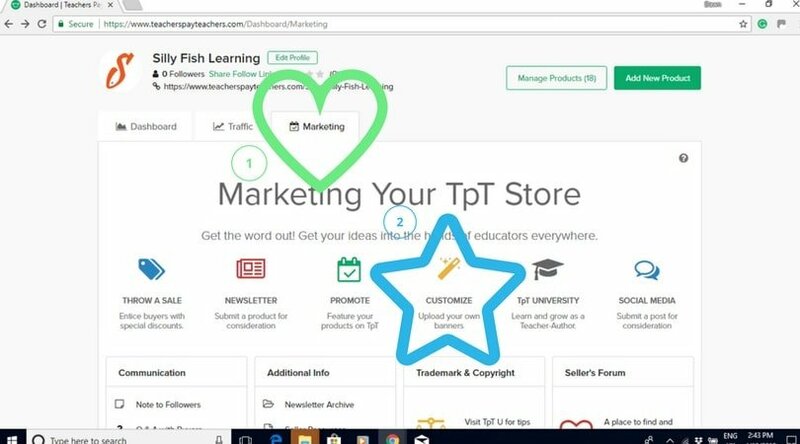 And don’t forget to follow us on TpT! Our glamorous new-look store is a little lonely.